All smile makeovers are unique to the individual although certain techniques are used routinely. Crooked teeth. These can be straightened using orthodontics. Invisable Braces are available as well as the traditional traintracks but in all orthodontic treatments time is required to move the teeth usually months. Crooked and crossed teeth can be treated instantly using Veneers or crowns although this is more destructive to the individual teeth. Broken teeth Can be repaired using a whole array of cosmetic options from white fillings to crowns. 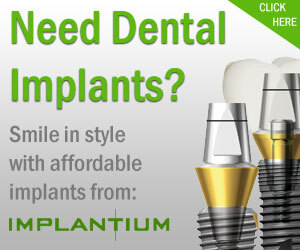 Gaps and Lost teeth can be replaced using implants or bridges. Stained teeth can be whitened in surgery (and usually within the hour). So how much does a smile makeover cost? Smile makeovers are unique for each individual so it is impossible to obtain a reliable cost of the treatment without seeing the dentist. The skill of your cosmetic dentists. The clinic where the treatment is carried out. The quality of materials used for your work. A smile makeover can cost from as little as £500 for tooth whitening to tens of thousands of pounds for full arch dental implants. Your dentist should be able to give you a variety of options of different costs. It is worth consulting more than 1 dentist for an assessment to compare costs, treatments offered and the skill of the dentist. Personally i always look at someones mouth and teeth when i first meet them and it does make a big difference in an interview environment.